G-CAS! Sew Excited! : Wardrobe Building Challenge - The Pants! Hey Wardrobe Builders!! It's Pants Week! I'll be posting progress this week of the pants process for our Wardrobe Building Challenge. I am making two pair of pants. Why two pair you say? The reason is, I need two pair! (LOL!! )One pair (2148) has a much narrower leg. I like the palazzo style in a fabric that allows much flow but that's not very business like, so one is for fun the other for work! I have included a few pics of my personal alterations progress and you can watch my Periscope which will allow a little more explanation. I'll be updating the blog as my progress moves forward! If you don't follow me on Periscope already. You can by clicking on the "Follow" icon at the top of my blog page! 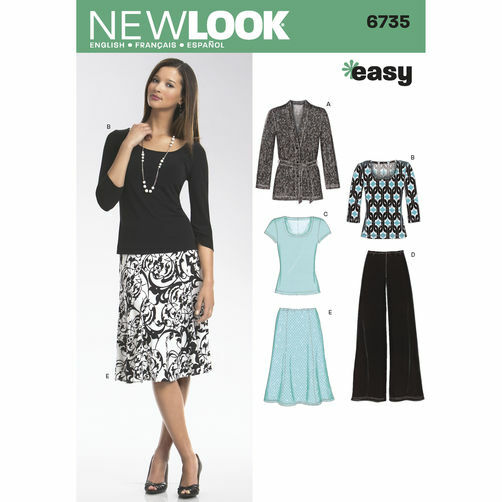 New Look 6735 Pants Layout for all sizes! Look Mom, only two pieces! Don't judge me cause my legs are short! Thanks for joining us on this wardrobe building journey. It's was I needed to stay on track and keep my azz working on one project at a time! (ROFL!) Hope to see you on Monday!! Oh, I simply can't wait! Watched your scope from last night on reply - IT WAS MUCH TOO SHORT CAROL! See you tonight though!!! ROFL! Ms. Faye, I made sure my scope was a little longer! When I scope my hubby's process that will be a long one. Bring a lunch! LOL!! I'm excited too and love watching your scopes when I get a chance! I am heading over to see the one Ms. Faye was mentioning above! See you tonight! Thanks Myra! Hope you can join me for the upcoming tailoring scopes for the hubby! Great scope Carol :)Thank You. I missed this whole event. Am I able to go back and watch all of the videos you ladies posted? I'm really gonna figure this periscope thing out eventually.